I'm sure, you do not just have to enter the picture, and crossed the distorted numbers and letters when registering at any site. This test is called a CAPTCHA. What is it and what is it for, you'll learn in this article. 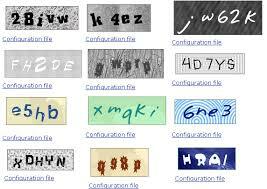 CAPTCHA (cAPTCHA) - an automated Turing test. It's designed to protect Internet resources of countless automated registrations. The test was set up in 2000 year, Carnegie Mellon University and quickly gained popularity. According to some reports, today use a captcha 200 million times a day. We have already spoken, CAPTCHA that is designed to protect sites from automated registrations, comments, etc.. Here is an example. Imagine Forum. Great forum with a lot of the. The forum is actively talking tens of thousands of people. Every day, are tens and hundreds of new themes and left thousands of messages. How's that space for advertising? You can create a theme with a message, that advertises any product, service, website, etc.. not important. Thousands of people will see this ad. Of course, Moderators quickly removed and the message, and theme, and user. However, the desired effect (View ads) has already. And if you create hundreds of topics? Respectively, more views. Of course, such work is beyond the power of one person. But there are special programs, who do register on the site, create the mythical user and post a message. But from such programs CAPTCHA protects websites. complex images, and that a person can not always decipher, become an insurmountable barrier for robots, and they can not even register. The most popular option - enter numbers and letters with pictures. Symbols are usually distorted, crossed or smeared. For people with low vision developed audiokapchi (you need to listen to the audio file, and enter the called numbers and letters). Quite an interesting variant of captcha - alignment and flipping images, answers to simple (sometimes not so) questions or writing words of the figures.